How to Quote in an Essay. Students oftentimes find it difficult how to quote in an essay. Before quoting a sentence or an entire paragraph in an essay, make sure that the quote you have chosen is relevant to your topic. An important thing to keep in mind is to carefully select which part of the essay you want to quote. In choosing what to quote, make certain that the quoted passage will further support your ideas instead of just making your essay look lengthy but without substance. The reason why quoting in an essay is important is that it will add reliability or strength to what you are saying. Thus, a proper selection of quotes can spell the difference between a quality essay and a poorly written essay. So, how exactly do you quote from an essay? The answer is simple. Take the most relevant phrase, sentence, or paragraph from your source essay and write it down on your own essay. Remember to put the quoted passage in quotation marks. But before that, ask yourself "what is it that I want to say in my essay?" If you want to say "euthanasia is immoral," you should look for an essay that tackles more or less the same topic. After finding your reference essay or article, read through it and choose the phrase, sentence, or paragraph that best fits your statement "euthanasia is immoral". Your chosen quote from that essay should be relevant to your topic statement. Otherwise, it is entirely useless for you to quote that passage in your own essay. 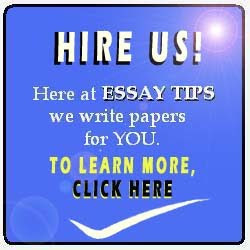 Direct quotes can greatly help you further elaborate your claims in your essay. But remember not to fill your essay with quotes that more than half of your written essay occupy the space of your article. Doing so will make your essay look no less than a collection of borrowed ideas and there will be little to no room left to place your own original ideas. Providing quotes in your essay merely serves the purpose of giving authority to what you are saying. What it is not supposed to do is to replace your own arguments. Plagiarism is a mortal sin, so to speak, in any academic writing. In order to avoid plagiarism or getting a failing grade for your essay, always cite your source. You can do this by placing an in-text citation next to your quoted passage taken from another article. Remember to put your source in your references or works cited list. Properly acknowledging the original source or author of your quote is the proper thing to do as far as academic honesty is concerned. If you know how to quote in an essay, it will be a lot easier for you to make arguments that are evidenced by substantial information. 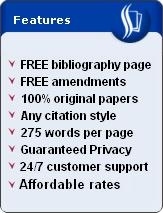 You may also want to read how to quote, or how to quote in APA, or how to quote in MLA.